Isn't great to eat out with a group of friends? But how about eating out with a group of strangers? No problem. Especially if the strangers share your love of food and soon they are not strangers at all. There were nine of us "strangers" at the Annam Supper Club in Douglas the other evening and it turned out be a thoroughly enjoyable dining experience. The Indian food was cooked and served by Banu and Ruth who run the supper club and its associated Cookery School. We introduced ourselves and the ice was soon broken — the gorgeous Mango Tango cocktail (mango with vodka and more!) was undoubtedly a help — and soon we were telling about food experiences, all the while nibbling from the bowls of Turmeric popcorn. It is also a BYOB club, so we were soon indulging in our favourites tipples, mainly beers and wines. 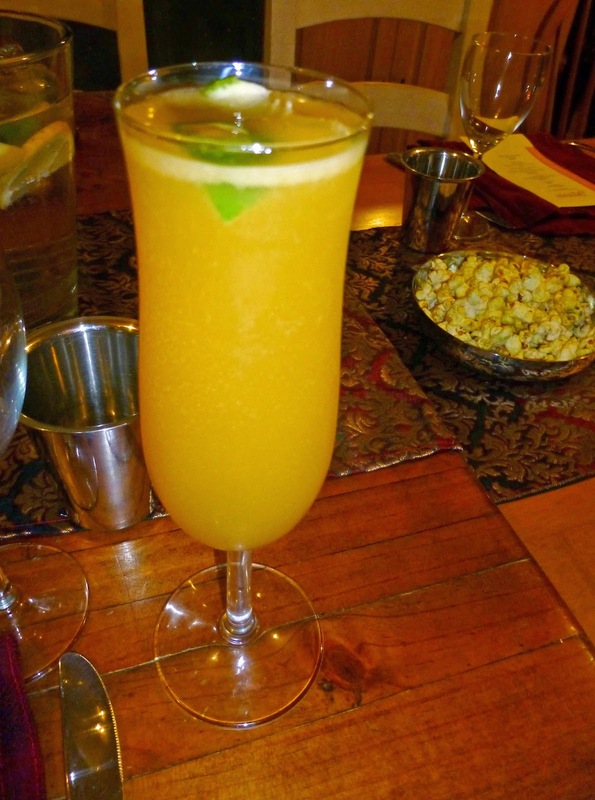 I had stopped at the Cotton Ball on the way and picked up a few bottles of their own Indian Summer and, though the Indian in the title had little to do with the country, the beer paired quite well with the various dishes. Starter was a delicious delight. 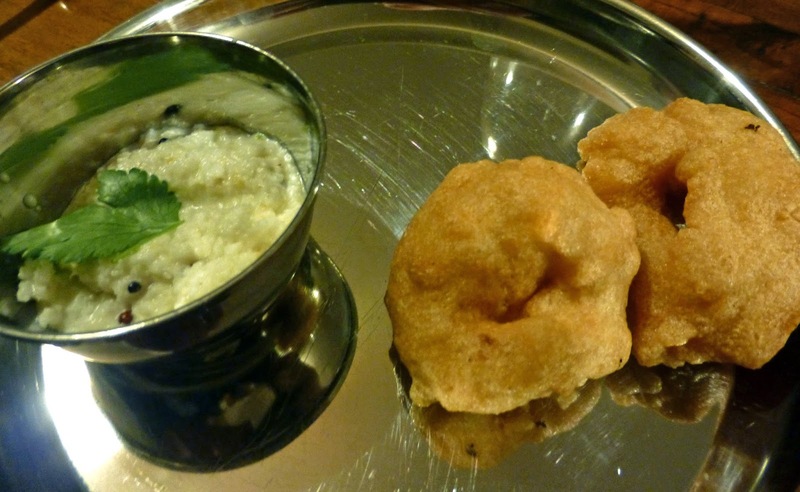 It was Vadai Thengai Chutney and that translates into Deep Fried lentil dumplings served with a coconut chutney. We slathered on the chutney, under advice from Banu, and used our fingers to speed the dispatch of the tasty dumplings. On then to a very impressive main course indeed, quite a few elements here. 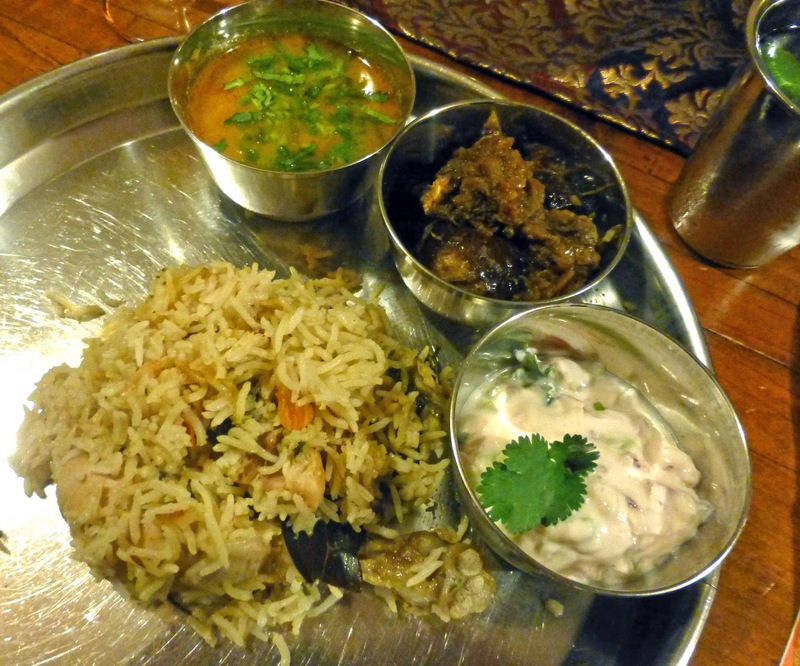 The main part was Chicken Biryani with three supporting dishes in Yennai Kathirikkai, Salna and Vengalya pachadi. Many of you will have come across Biryani, basically rice cooked with spices and meat. There are many different kinds of Biryani and you may read about the main ones here. This particular version though is Banu’s signature dish. The Yennai Kathirikkai is Aubergines in a spicy tangy sauce, Salna ( a traditional accompaniment to Biriyani; ours was a light curry sauce with some lamb pieces) and Vengalya pachadi (a cooling onion raita). The trick here is not to eat any element in isolation. Mix and match the textures, the flavours, the heat and the coolness. Superb! The dessert was another delight, served in a small earthenware pot. 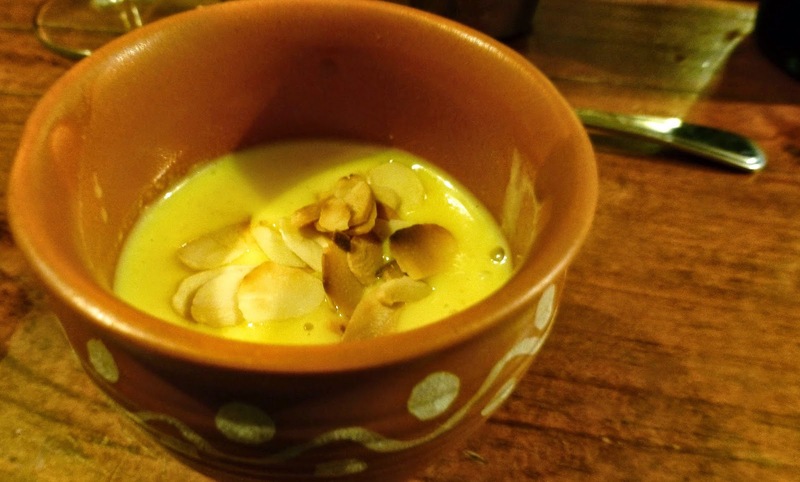 It was named Badam Kheer, an almond saffron milk pudding. Loved every little bit of it. Then we slowly sipped the rest of drinks and finished the various conversations before saying goodbye to these friendly strangers! The club is run by Banu and Ruth and the cooking veers "towards South Indian most of the time with inspiration from Chennai a good deal". Why? Because Banu is from Chennai and she can best cook and teach the food she knows best. And Banu is not the only one with a high regard for her area. Food in Chennai is very popular and rather unique. 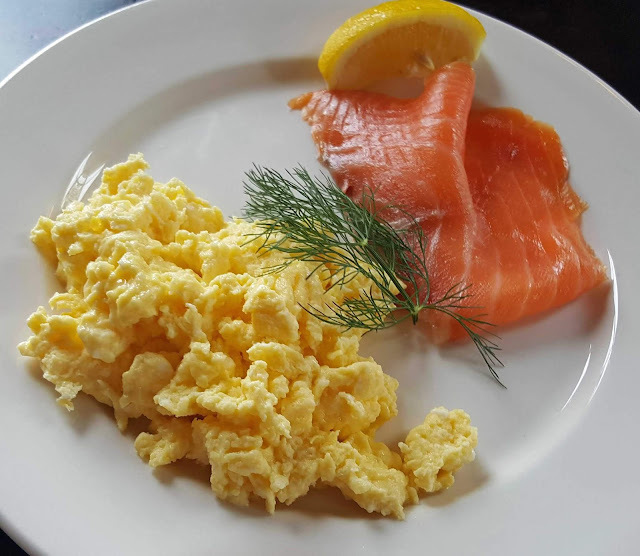 The city regularly features in top ten food lists by major publishers such as Lonely Planet, National Geographic and the BBC’s travel section. More details on the city and its food here. Ruth and Ban are busy girls. Their next event, a mix of movies and food, is coming up this Friday at the Beggarman and you can see the details here . Their next Supper Club is on Friday April 17th. You’ll get all the details, plus info on cookery courses, on their Facebook page. Thanks for the Lovely write up Billy!